A Belts.com exclusive, sterling silver Buckle set, golf scene on Buckle, Crossed Golf clubs, Flag and Ball on loop. 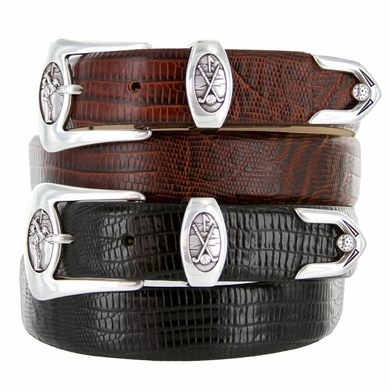 Italian Lizard Grain Calfskin. 1 1/8" wide.